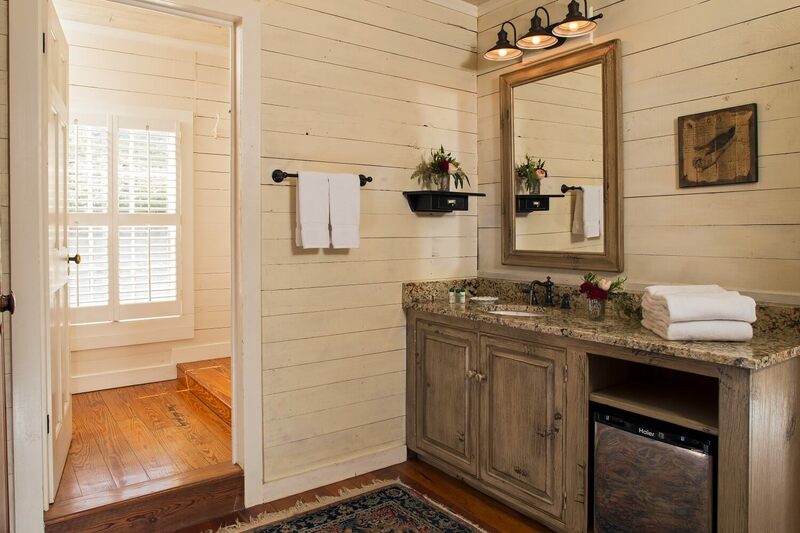 Our two – Three-Room Suites each consist of a bedroom, bathroom with dressing area, and a sitting room. 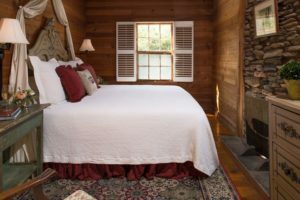 Each suite has a king size bed in the sleeping area. 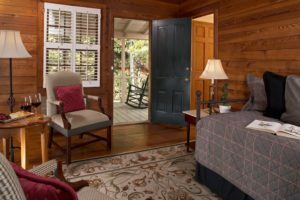 The sitting rooms are furnished individually; one with a day bed with a trundle bed and the other with two twin daybeds. 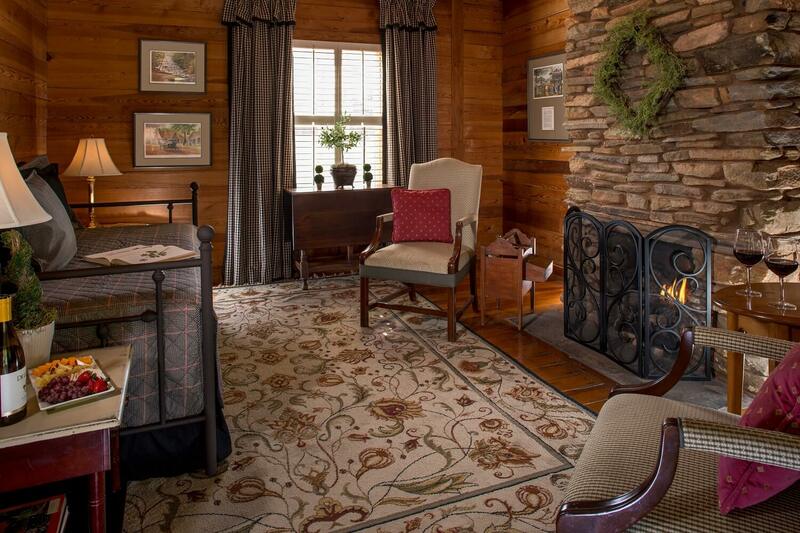 Both also have chairs for relaxing in front of the stacked stone fireplace. 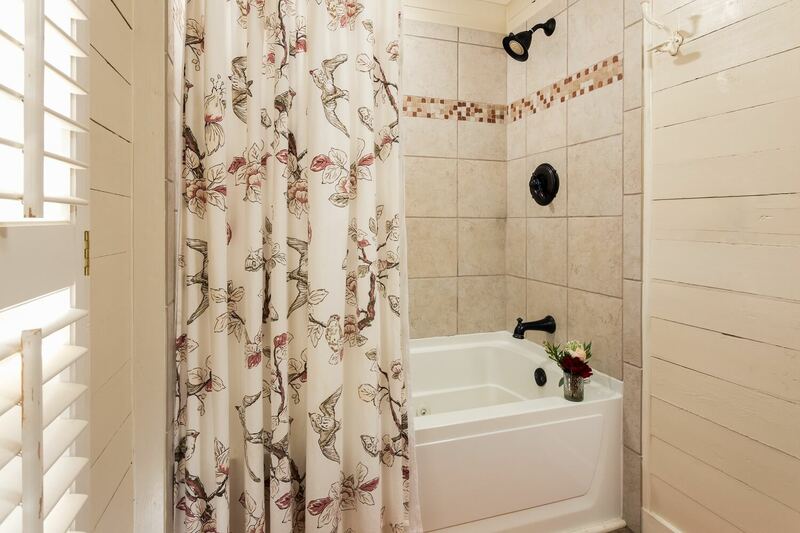 The baths are equipped with whirlpool jetted tubs. 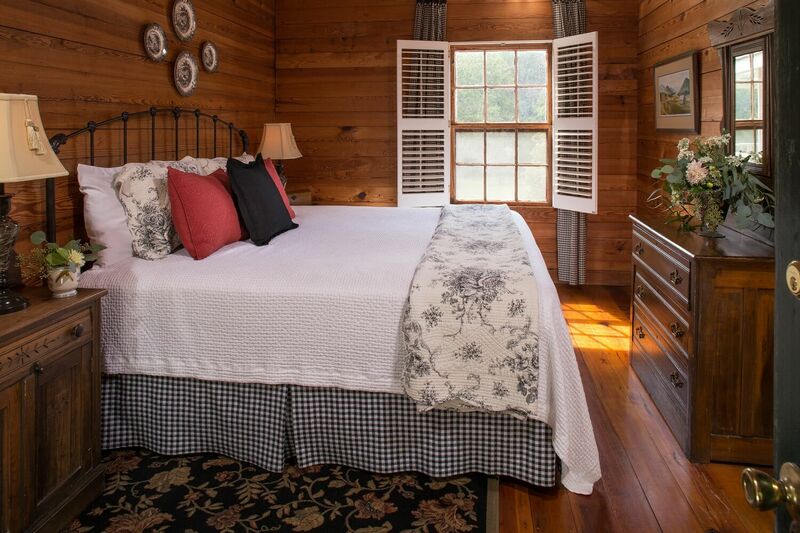 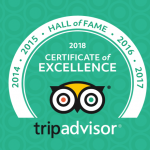 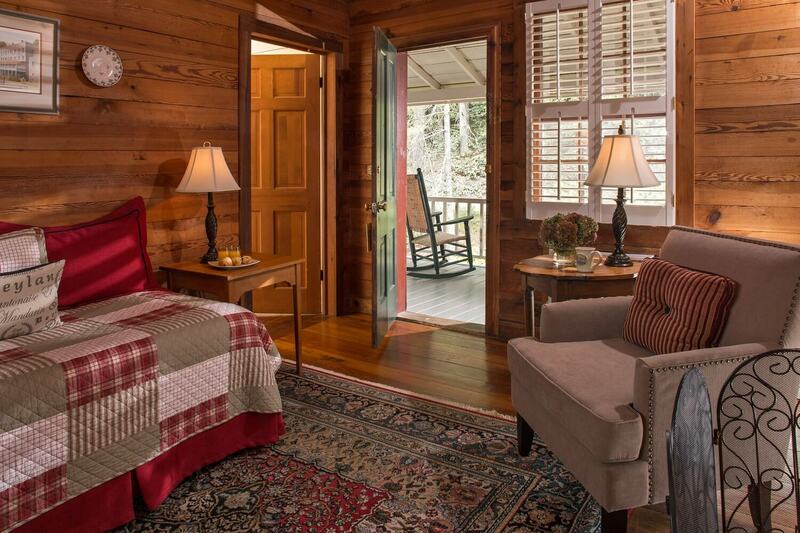 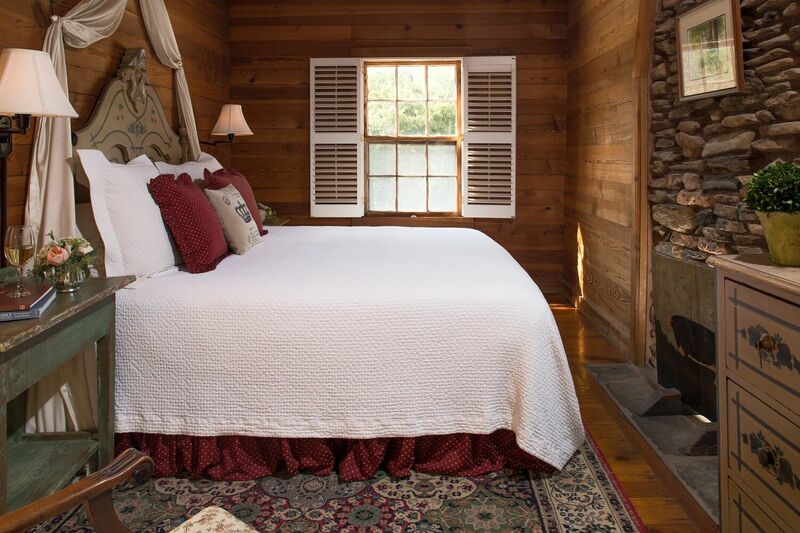 The Three-Room suites are on the front side of the Inn on the second floor overlooking the wooded portion of the property and are family friendly rooms.